Best SEO agency in the Netherlands, Rankify! Looking for a Dutch SEO agency? Are you looking for a Native Dutch SEO Agency to grow your online presence in the Netherlands? Rankify is a Native Dutch SEO Agency with Dutch and International customers. 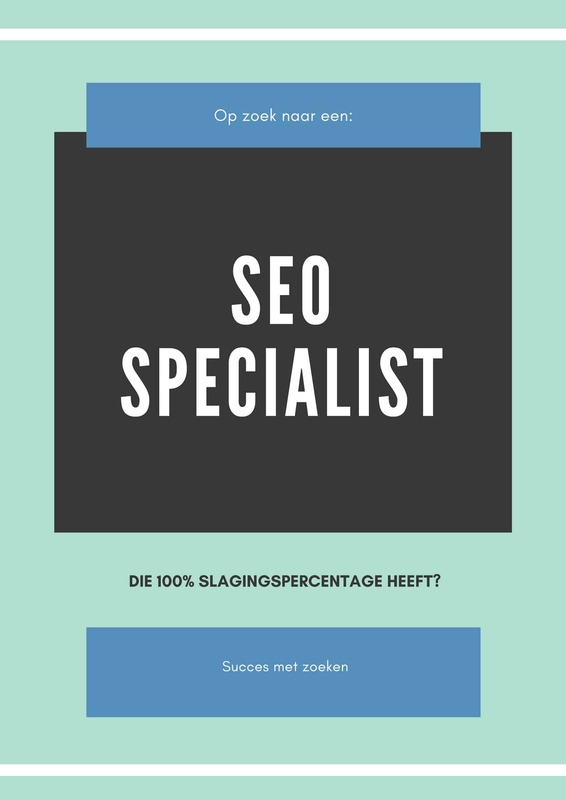 Do you run a business in the Netherlands and want to receive help from an SEO agency that can help in English, German as well as in Dutch? Rankify helped us immensely. The SEO check he carried out was very detailed and helped us a lot. The tasks were easy to understand and actionable. This has helped us enormously. Thanks again Marco. Marco had quickly and thoroughly analyzed our website and sent us a very detailed report with actionable tips. We're very happy with their service. Keep it up! Marco has done a thorough SEO Check and has given us great advice. Nice report, and also helped implementing some of the tips. Although a fairly young player in the Dutch SEO agency world, the founder Marco Logmans has been active in Search Engine Optimization since 2015 as an in-house SEO specialist. In November 2017 he decided to start Rankify, a Dutch SEO Agency. Located on the island Goeree Overflakkee at a 1-hour drive from Rotterdam. The island is surrounded by waters and great nature, the perfect place to do internet marketing! Why looking for an SEO company in the Netherlands? Most entrepreneurs get to a point where they have to decide to start growing outside their homecountry. Expanding businesses overseas brings a lot of difficulties along. Finding a local SEO partner helps this transition into the Dutch market. If you are looking for a SEO company to help you get your foot in the door in the Netherlands, feel free to contact us and see what we can do for you. Although webdesign is not our core business we work together with a few top webdesigners in the Netherlands. If you need webdesign, a new website, a native Dutch App, we can help you get this done in no-time. We partner up with many specialists and have some great result in the Dutch market concerning online advertising. We partner up with professionals so you don't need to look for any specialists beyond Rankify. Rankify keeps its knowledge up-to-date by following every single Google Hangout on Youtube. Besides these hangouts it follows the best SEO sources including SEroundtable, White hat vs black hat SEO show, Kyle Roof testing with the SIA, and has access to the best SEO tools including Cora SEO software and Page Optimizer. We focus on Trust Traffic and Theme. Trust is built up by adding backlinks to your site. Starting with the social media signals, branche or industry related backlinks etc. Traffic is very important to see who is visiting your site, how long they stay, and what they do. Focusing on those points will help you improve your conversions. Theme is as important as the above mentioned focuspoints. The theme (search term/keyword) should be so relevant to the page that its vital to have a good foundation. This means our on-page SEO is our main focus from the get-go. If you want to get in touch with us, just call us on tel: 0187-820187 or international +31 187820187 or drop us an email at info@rankify.nl. Freel free to contact us with any of your questions regarding SEO services here in the Netherlands. A new SEO project always starts with an SEO Audit. Going for Quick wins by optimizing content on site in headings etc. Rankify is driven by a passion for SEO. Not for the money, not for the fame, but for you! We are SEO nerds that love to talk about what we do. You want to talk about SEO? Give us a try!